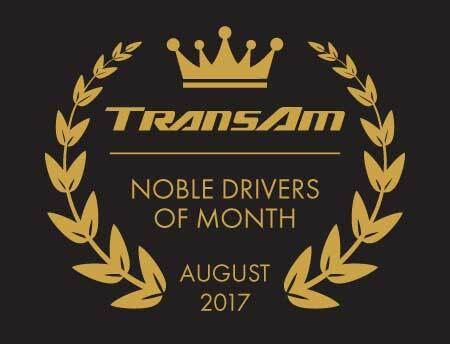 “Trucking is a noble profession and truck drivers are noble people.” Each month, we celebrate 4 noble drivers of the TransAm family. Each of these drivers are hardworking, caring individuals who help improve the trucking industry every day. We thank them for choosing TransAm Trucking; they help make us a better trucking company. Company Driver of the Month – Ronald Soden, Jr. When a trailer breaks down, it is a race against the clock. A new trailer needs to be dispatched and loaded before the freight is damaged or the load is late. Earlier in August, Ronald prevented such a situation from going bad to worse. He contacted risk management and helped the warehouse workers figure out how to load the freight into the new trailer. “The entire time Ronald was handling the situation he was polite, calm, and very friendly,” says his Driver Manger, Logan. We are glad Ronald was there to help. We appreciate his positive attitude and problem solving skills. Thank you, Ronald, for driving with TransAm Trucking. Receivers reject loads more often than the trucking industry would like to admit. If the packaging is damaged or the load is late, sometimes a receiver will refuse to accept the freight, even if the freight itself is still fine. When this happens, it is up to the driver and the trucking company to figure out what to do with the unwanted freight. Jeffery recently had a refused load of deli meat and received the green light from TransAm Trucking’s Risk Management department to donate it. Jeffery contacted several shelters, but none were able to take the load. Instead of giving up, Jeffery continued to call around until he found a shelter for domestic violence victims able to take the donation. After the first few calls, Jeffery could have given up and found a dump. Instead, he kept pushing and gave the meat to people who need it. Thank you, Jeffery, for your perseverance and kindness. Keith joined TransAm in July and he is already proving to be an invaluable team player. Last month, Keith went out of his way to help another TransAm Regional Driver back into a dock. Keith’s actions remind us that the trucking industry is a team. We are constantly working together to ensure everyone succeeds. Thank you, Keith, for being a part of the TransAm Trucking team. We are very happy that Edward chooses to partner his business with TransAm Trucking. “He is a well-respected Mentor,” says Darren, the Manager of Training & Development. Edward became an independent contractor with TransAm Trucking in 2012, so he knows a thing or two about the industry. “Edward has a calm even demeanor, and always takes the time to explain the ‘how’s and why’s’ of what it [trucking] takes with his mentees.” We are grateful to have such a knowledgeable individual in our Mentor program. Thank you, Edward, for always remaining “upbeat, understanding, and professional”.